At 23:00 this evening, Skerries Coast Guard were tasked to investigate a report of unusual lights off the coast of Rush, 3 miles south of Skerries. A concerned member of the public had spotted unusual vessel lights in the vicinity of Lambay Island and had contacted the Coast Guard. 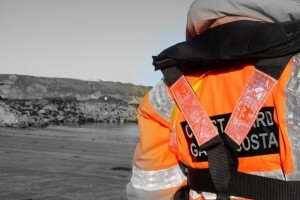 The Skerries Coast Guard team conducted a coastal search of the Rush area and nothing further was noted. Other vessels were operating in the area and none reported any difficulties. Remember – if you spot someone in difficulty on the coast, even if you only think that they may be in difficulty, dial 999 or 112 and ask for the Coast Guard. Your call could save their life. This afternoon, the Skerries Coast Guard team were tasked to investigate a report of a boat in difficulty off the coast of Rush, approximately 5 miles South of Skerries. A concerned member of the public had contacted the Coast Guard’s operation centre on 999 to report a yacht that appeared to be in difficulty near Lambay island. The weather conditions on scene were extremely challenging and the yacht appeared to be having difficulty making headway. Of most concern was its proximity to the rocky shores of Lambay isalnd. The Coast Guard helicopter, Rescue 116 was also tasked from its base at Dublin airport. Upon arriving at Rush, the Skerries Coast Guard team monitored the yacht and observed that it was successfully making good progress away from the shoreline and no further action was required. Before the Skerries team and Rescue 116 had departed, the Coast Guard’s operations centre received another unrelated report from a member of the public at Rush. 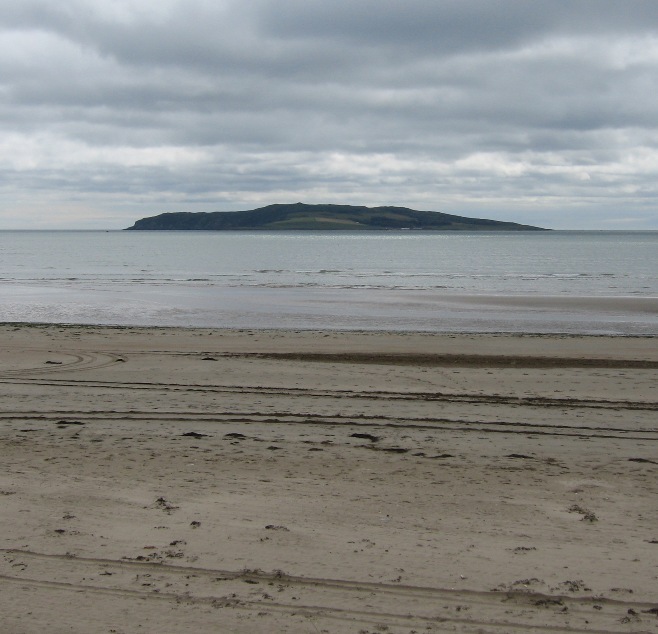 A small boat had been spotted drifting out to sea from Rogerstown estuary. The caller was concerned that there may have been a person on board. The coast Guard helicopter, Rescue 116, quickly located the boat approximately 1 mile West of Lambay island and reported no persons on board. Initial investigations by Rescue 116 suggested that the boat’s mooring rope may have snapped in the rough conditions. Nonetheless, an extensive search of the area was immediately undertaken by Rescue 116 and nothing further was sighted. In the meatnime, the Coast Guard managed to trace the boat’s owner who confirmed that it had broken its moorings and that no persons were on board. No further action was required and the Skerries Coast Guard team returned to base. Remember – if you spot someone in difficulty, even if you only think they could be in difficulty, call 999 or 112 and ask for the COAST GUARD. Your call could save their life. At 23:35 tonight, Skerries Coast Guard were tasked by the Coast Guard’s operations centre to investigate a report of distress flares. 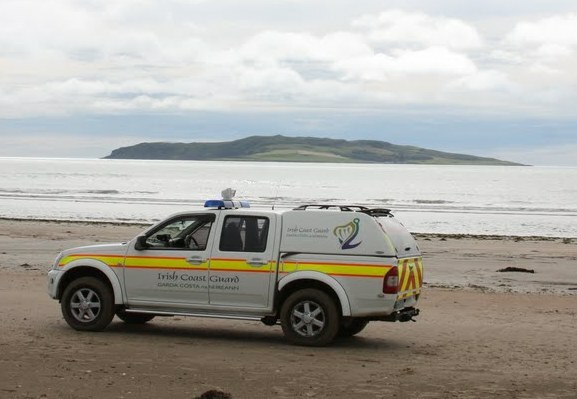 A vigilant member of the public near Howth had contacted the Coast Guard to report sighting what appeared to be two distress flares in the sky North of Lambay Island, off the coast of Rush. 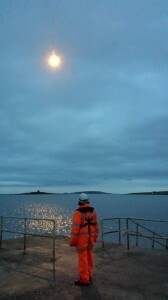 Skerries Coast Guard conducted a shoreline search of the area and no further flares were sighted. The Coast Guard helicopter R116, returning from a search South of Dublin, conducted a sweep of the area with nothing to report. 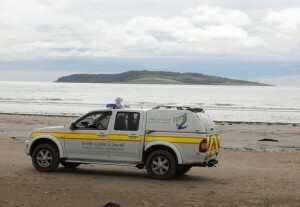 The search was concluded and the Skerries Coast Guard team returned to base.